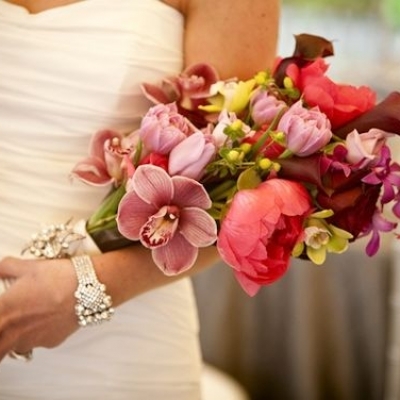 Who knew there were so many different kinds of bouquets, all with their own names & characteristics? 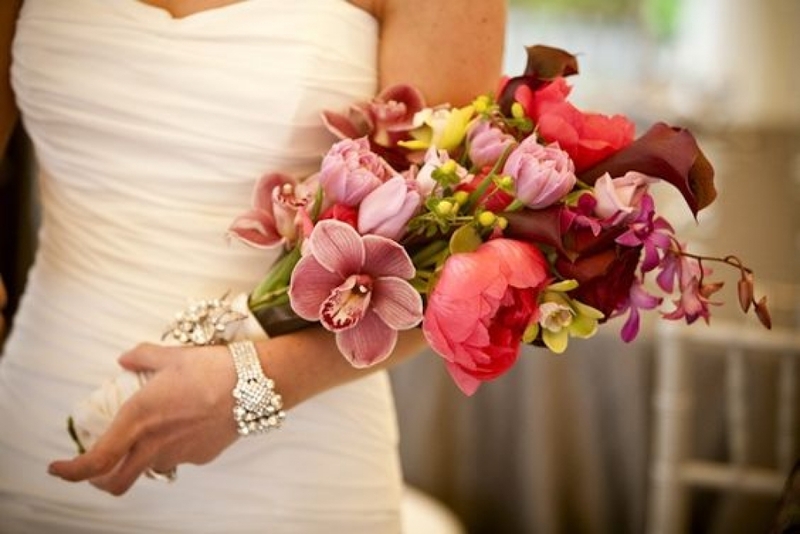 Our Watering Can designers are opening up on the details of the "bridal bouquet breakdown," perfect for your Niagara wedding. 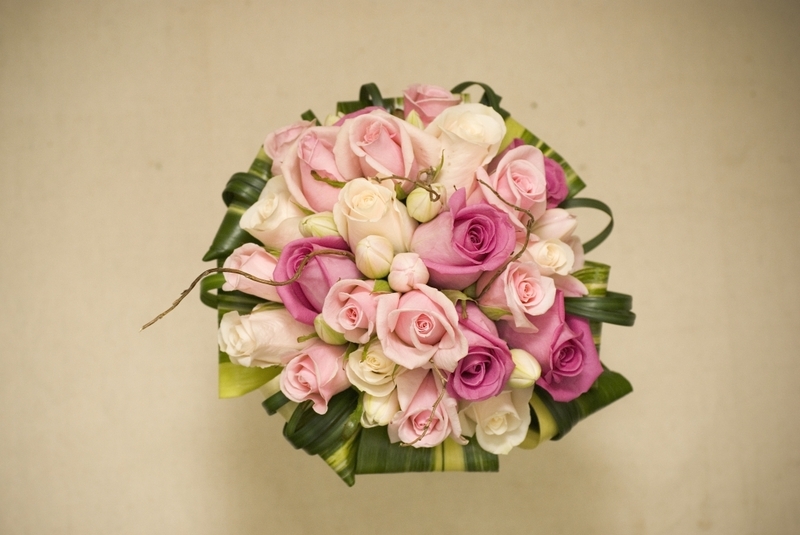 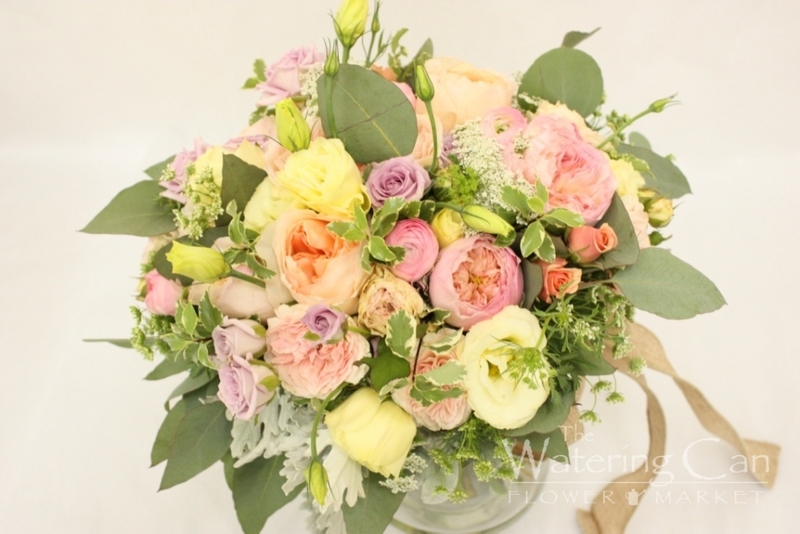 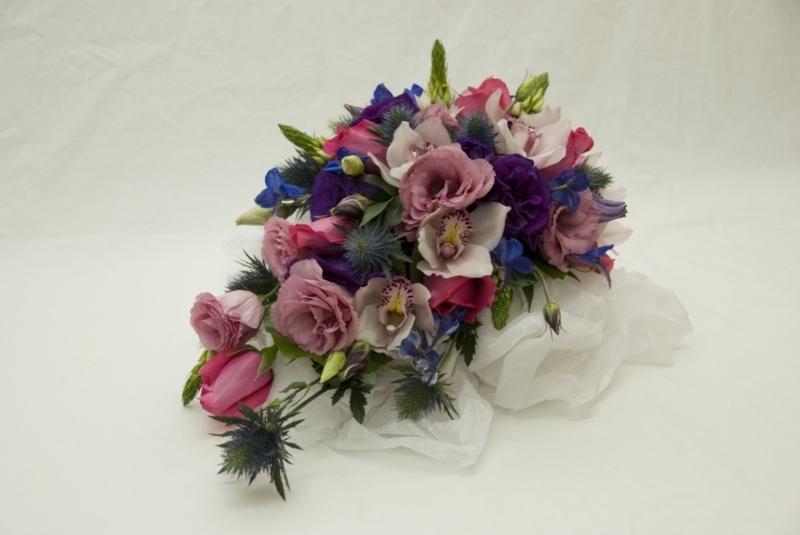 There is truly a bouquet suitable for all brides; it’s just about finding the right bundle of blooms for you. 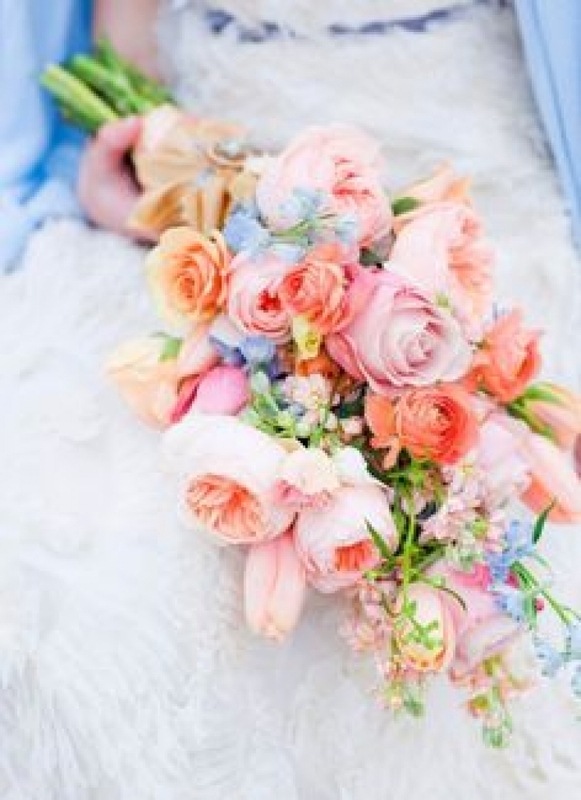 Your bouquet helps convey the style of your wedding and no matter what that style might be, there is a type of bouquet that is the perfect fit for you. 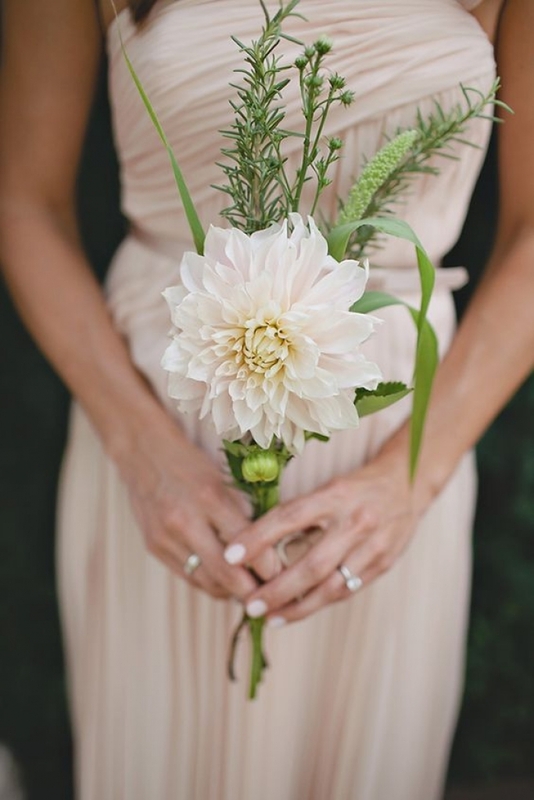 Do you find yourself drawn to drama with an affinity for glitz and glamour, or does your love of nature and minimalism define your style? 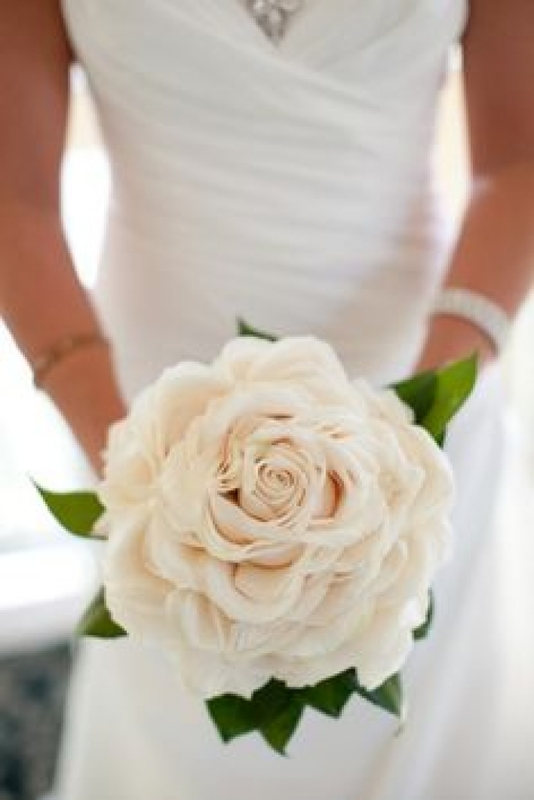 It’s all about the shape! 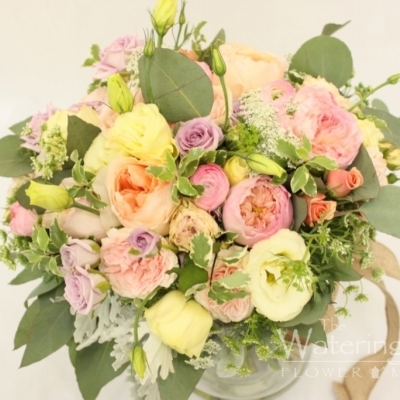 The biedermeier bouquet is European-influenced, the stems are tightly-structured and carefully-arranged in a variety of different coloured flowers to create a ‘round’ shape. 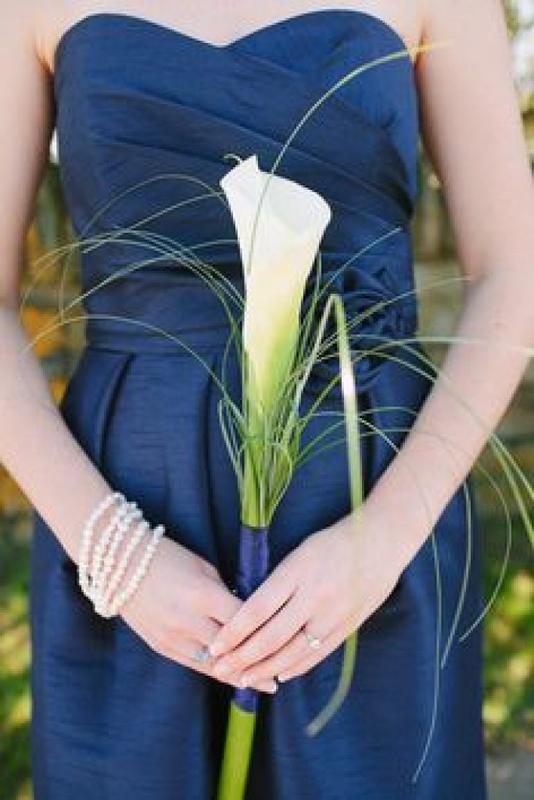 These bouquets are also often monochromatic, although, they look just as beautiful featuring flowers in a variety of colors. 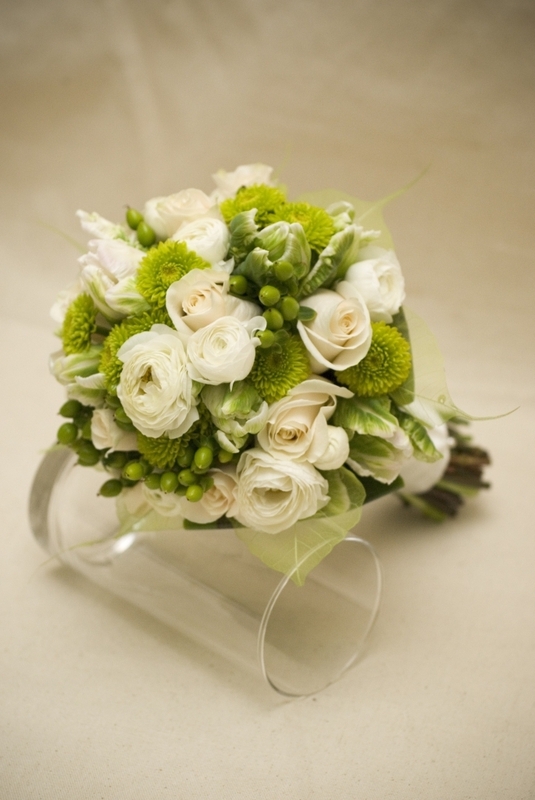 Skirting the bouquet with some minimal greens and wrapping the stems finishes off the look of a classic Biedermeier. 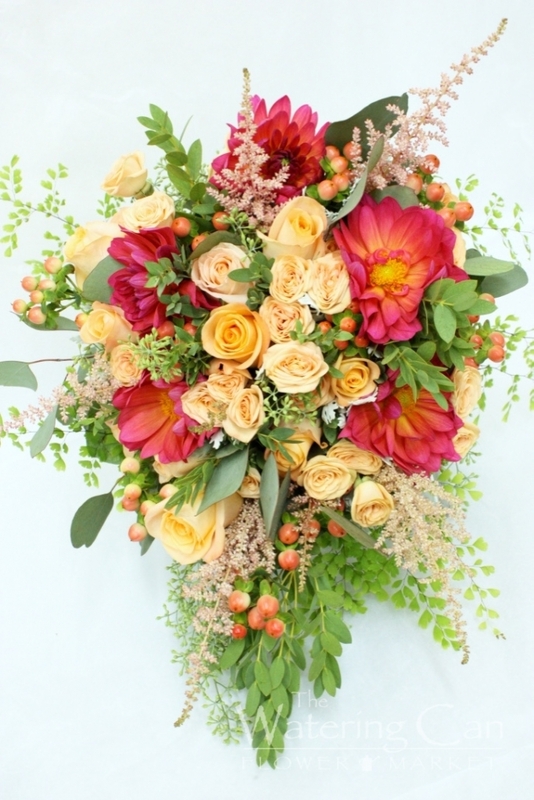 The result for this bouquet is a bold statement of blooms. 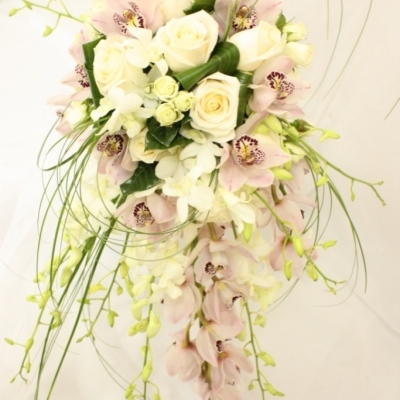 Also known as a teardrop bouquet or trailing bouquet! 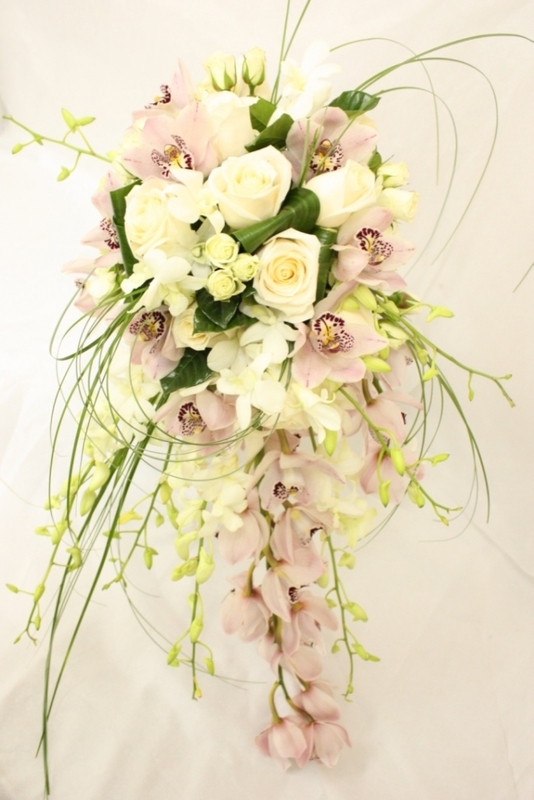 The Cascading bouquet, which is the most formal and most traditional of bouquets is designed to spill gracefully over the bride's hands, as it flows downward for a sophisticated and stylized look, creating a dramatic waterfall of florals. 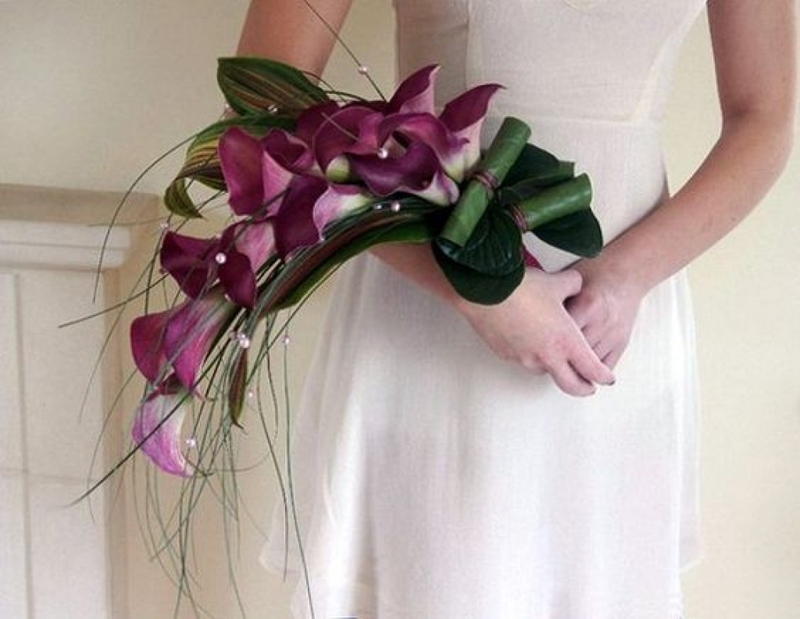 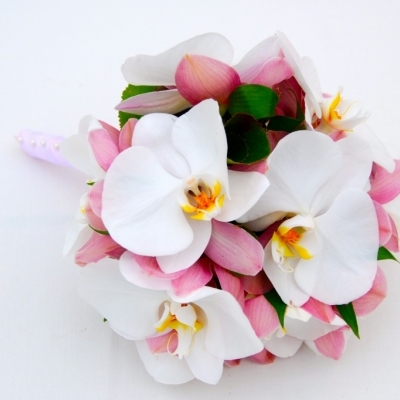 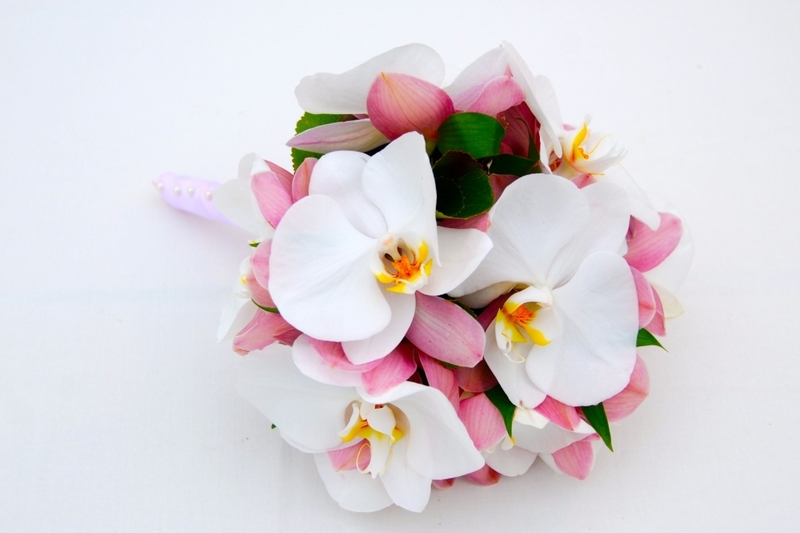 This type of bouquet makes a striking statement and is perfect for the bride who loves a little drama. 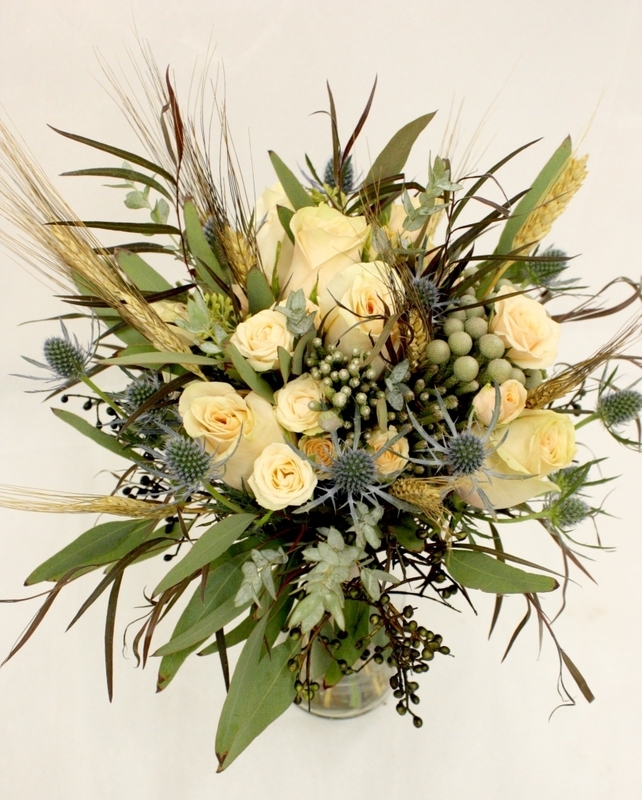 Almost any flower can be used in this style, therefore, this bouquet can be rustic and wild looking or glamorous and luxurious, depending on the florals used. 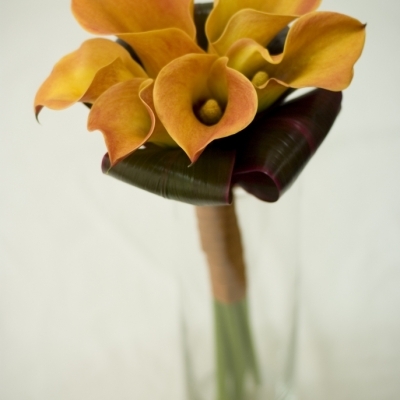 The stems can be wrapped and handheld or they are wired and placed into a holder. 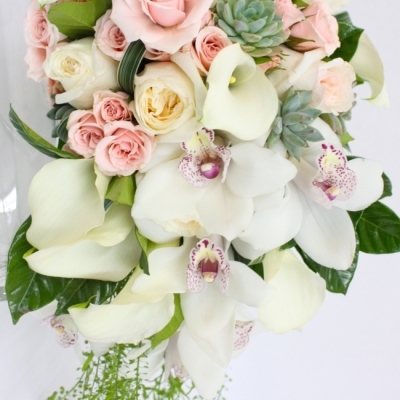 Freer than other bouquet styles, hand-tied bouquets can include a wide assortment of flowers and greenery as their name suggests. 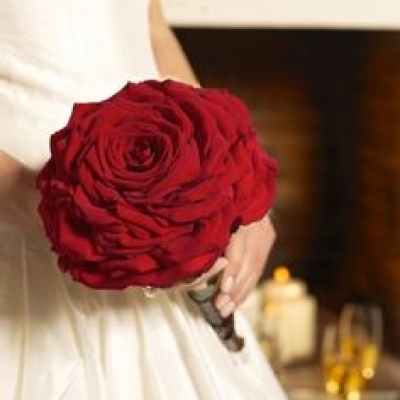 They are secured simply by using ribbon, fabric, or twine. 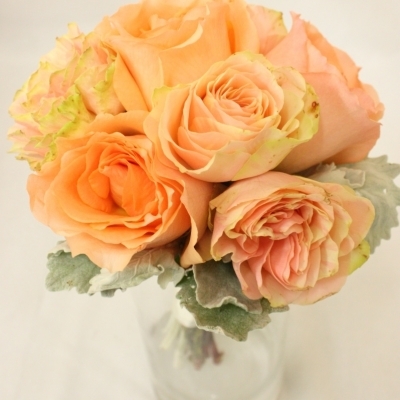 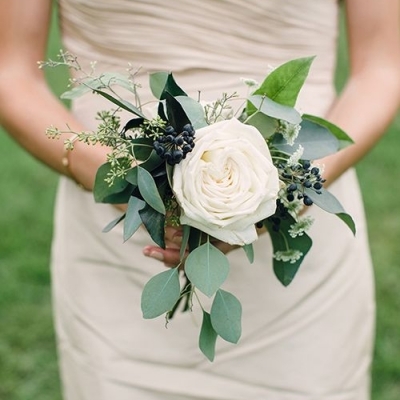 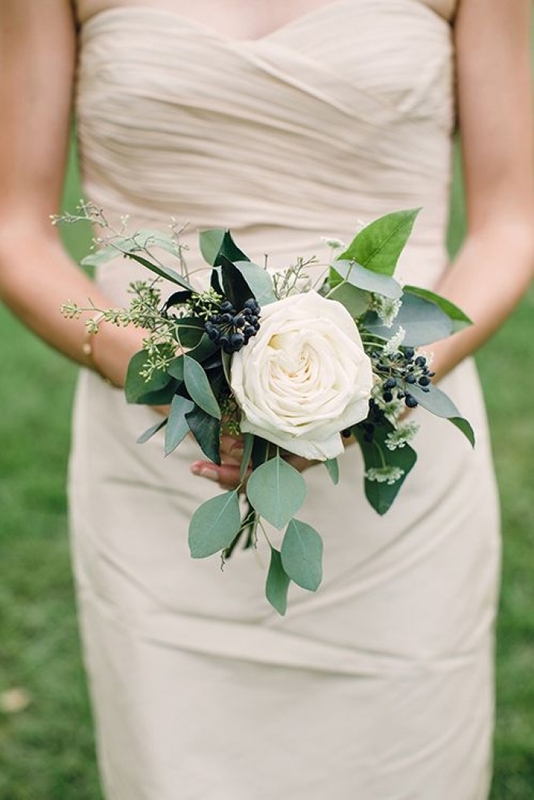 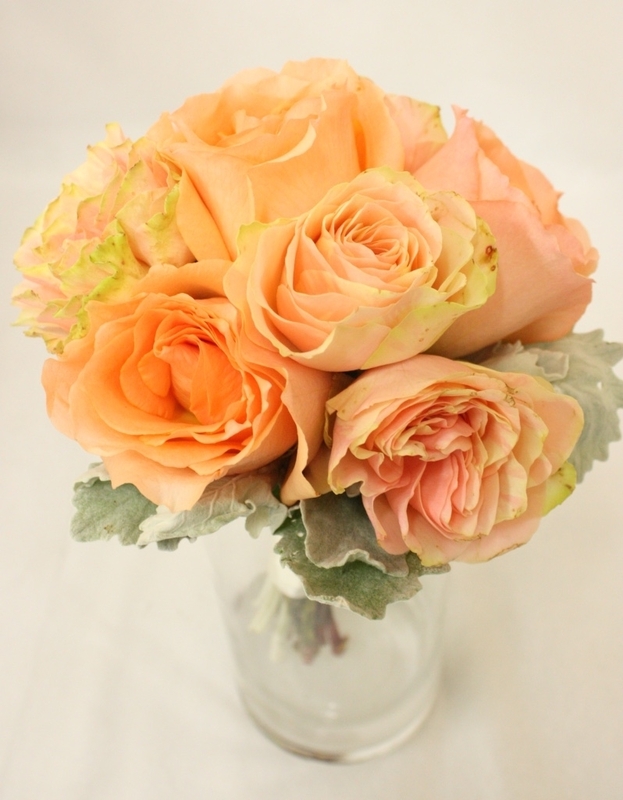 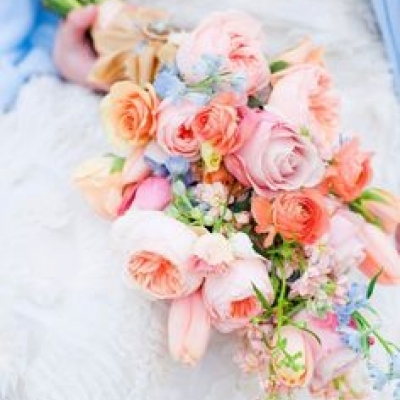 Hand-tied bouquets have a "fresh-picked" feel and are ideal for bohemian or rustic weddings. 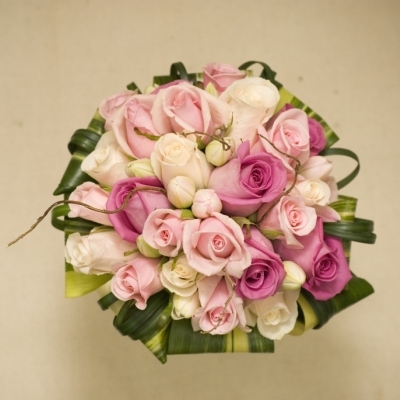 Basically, it’s a bundle of flowers gathered and hand tied with ribbon or burlap. 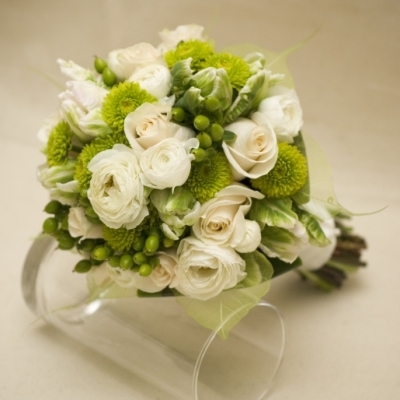 The stems are left exposed leaving the bouquet with a less formal, overall feel. 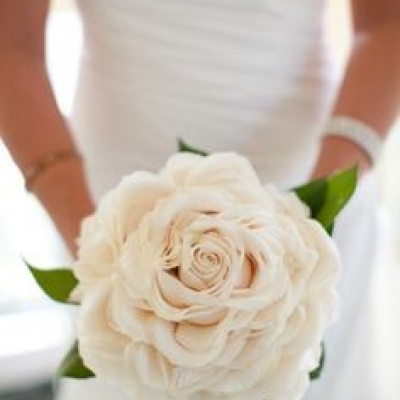 This is a trend we are starting to see more of, whether it be a large bloom flower or a composite. 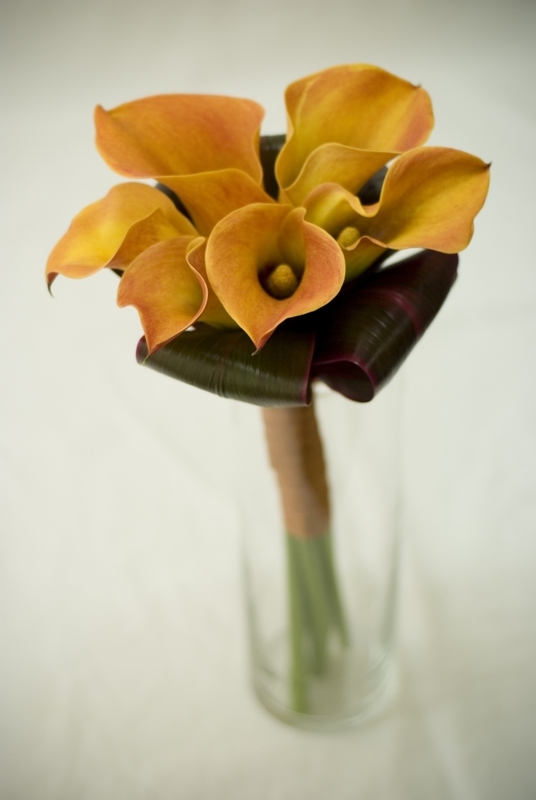 A composite is actually composed of individual petals which are arranged and secured to resemble a single large bloom. 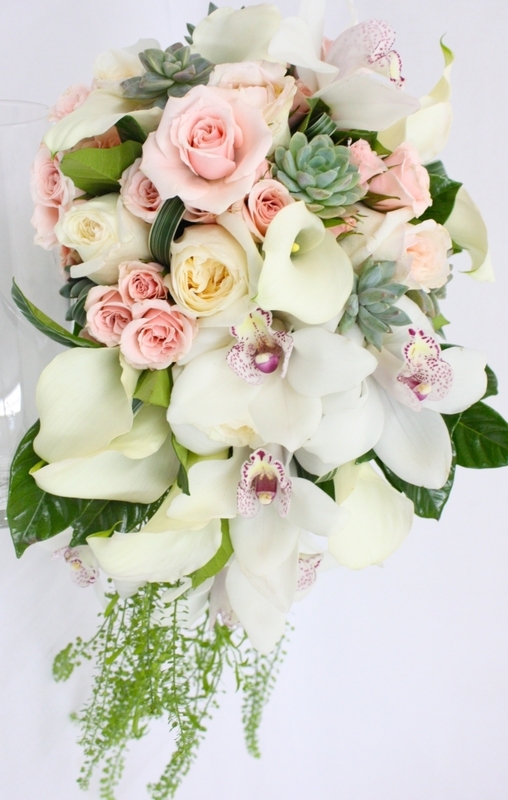 The highly stylized bouquet compliments a bride who desires a bit of drama! 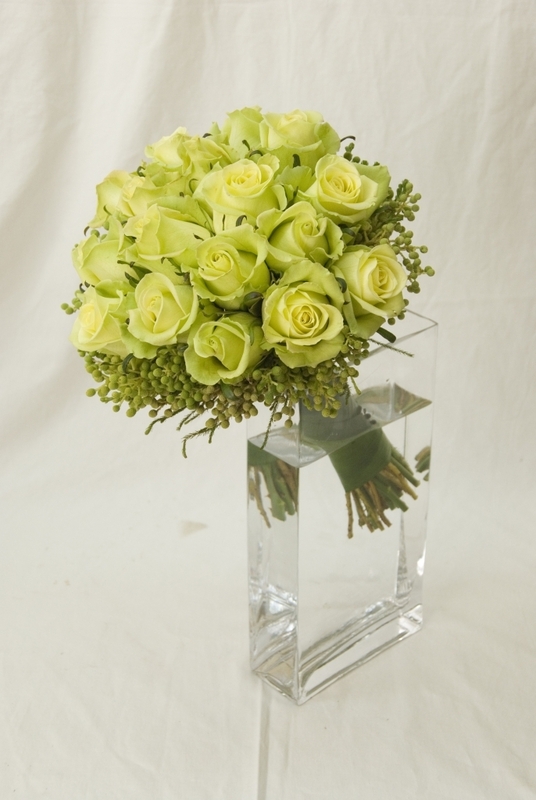 A single stem is simply just as the name suggests. 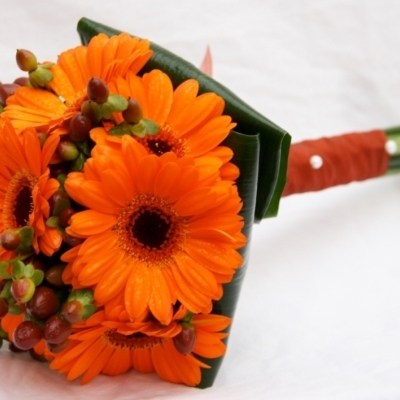 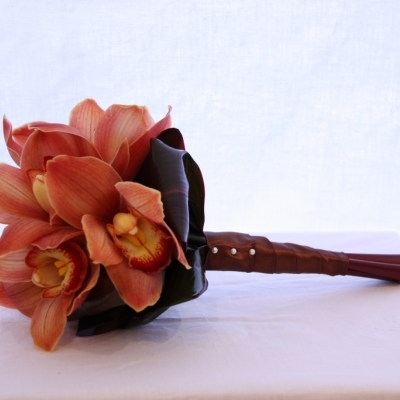 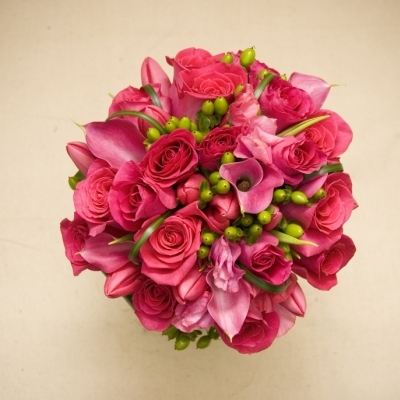 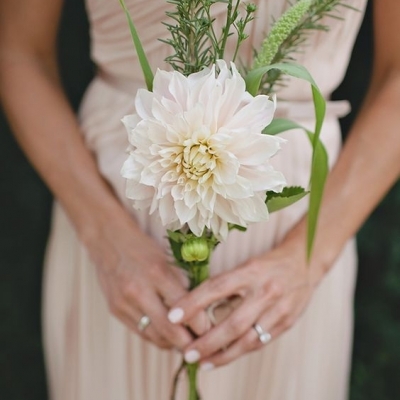 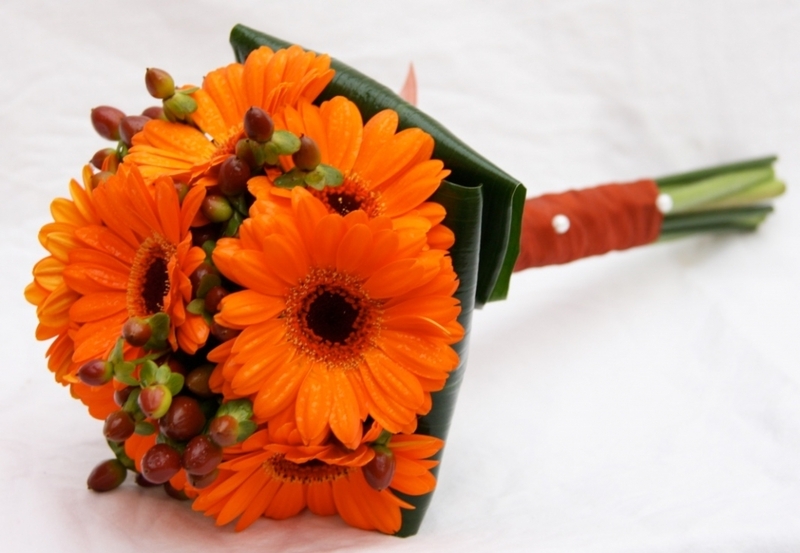 Usually the bride will choose a bloom that is already large in size such as a Sunflower or Protea. 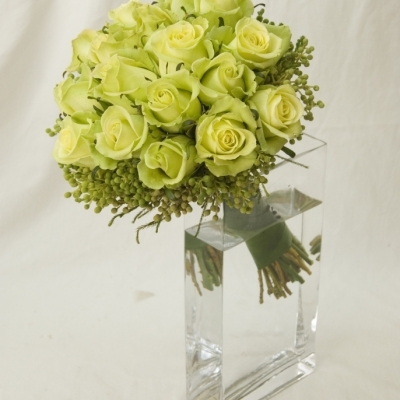 It can be held it on its own or adorned with a few accents of green. 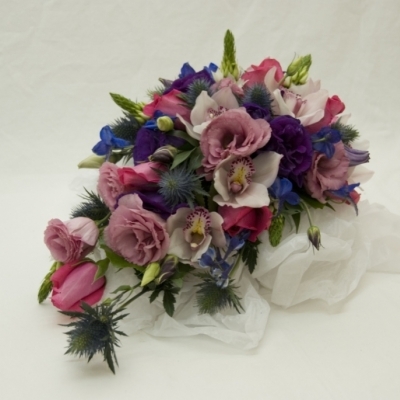 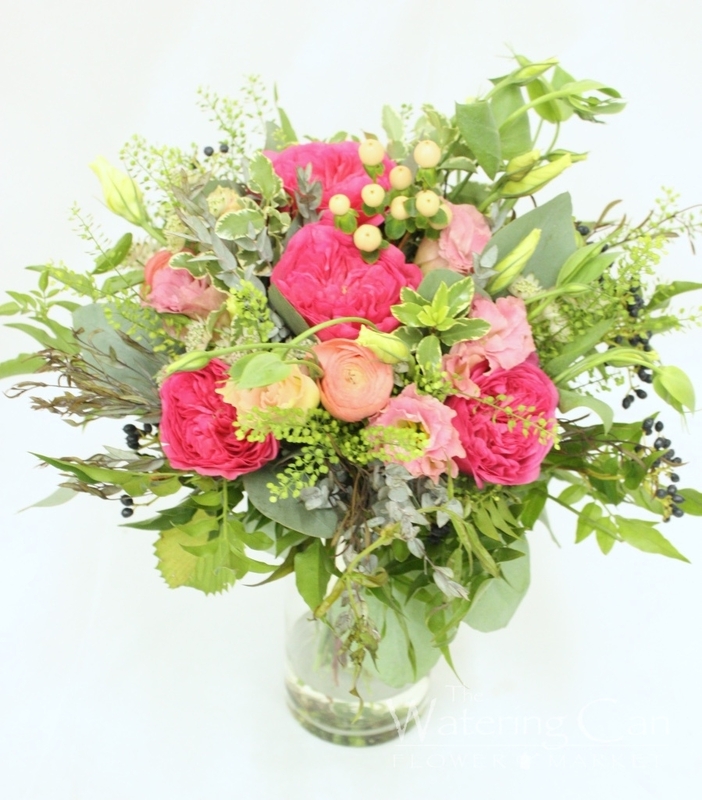 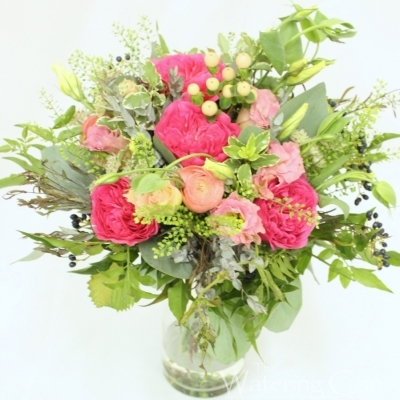 The posy is round and small and can easily be held in one hand. 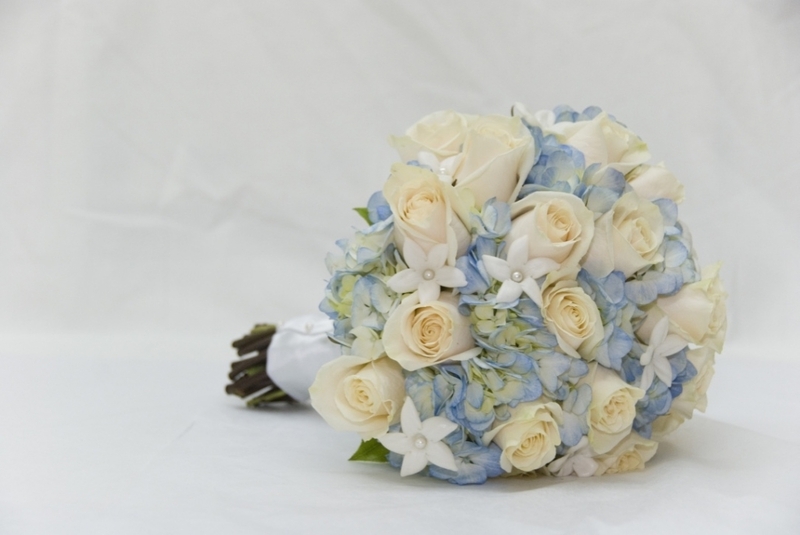 This style has the natural stems wrapped in a beautiful satin, velvet or organza ribbon and possibly some embellishments of pearl pins and beading trims. 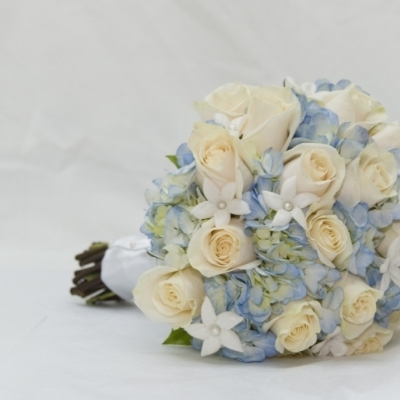 A classic and popular choice for brides, posy bouquets are small enough to be held in the hands and feature mostly all of one variety of flower. 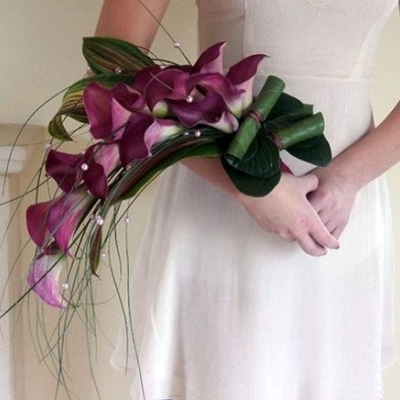 The arm sheaf bouquet which is also known as the presentation bouquet are long stemmed flowers and foliages that the bride carries cradled in her arm. 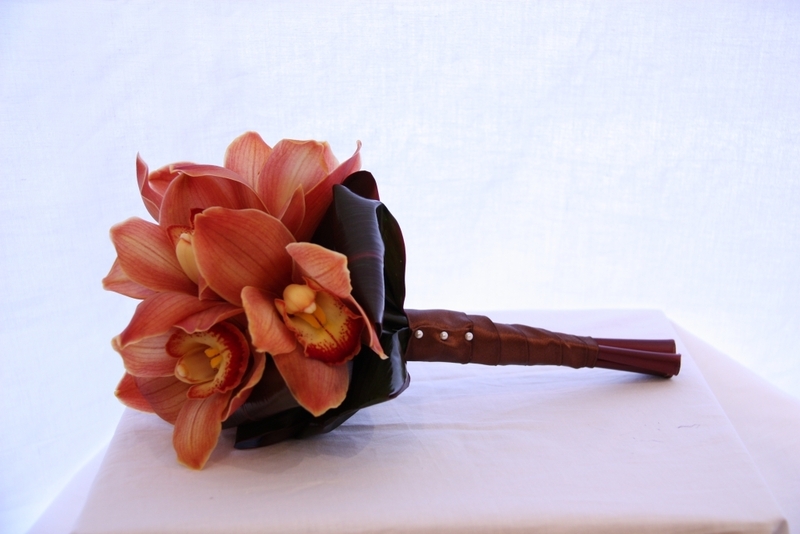 It is a stunning alternative to more traditional styles of bouquets. 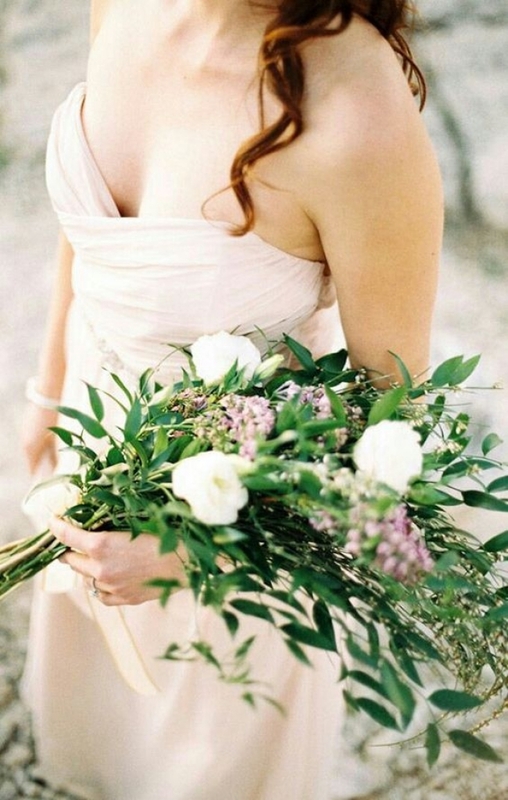 This style is very chic and best suited to modern style weddings. 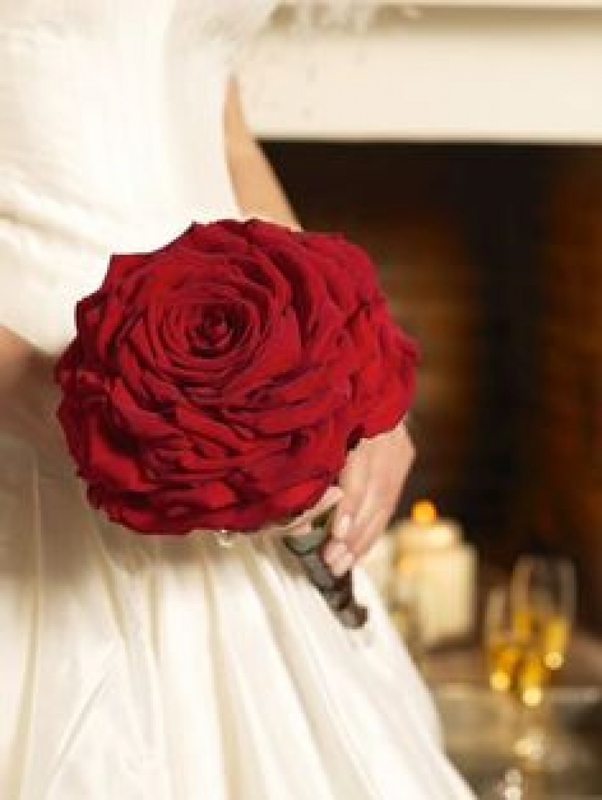 It can be as simple or as elaborate as she likes. 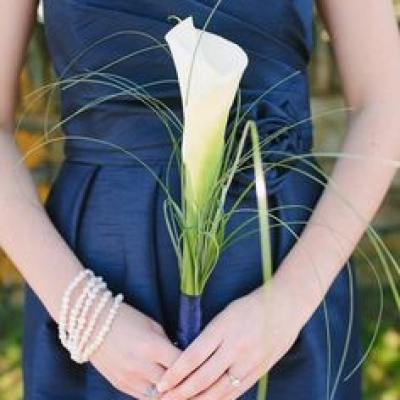 A gorgeous ribbon provides the finishing touch. 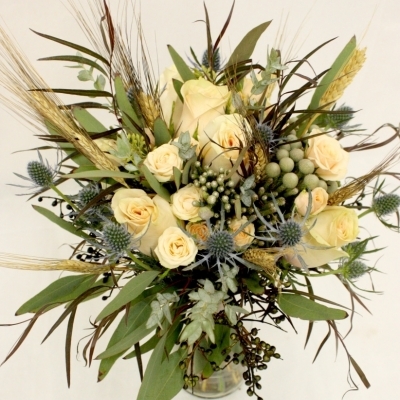 Crafted with long-stemmed flowers or foliage this style is great for a rustic wedding and it's perfect for the bride who truly loves flowers. 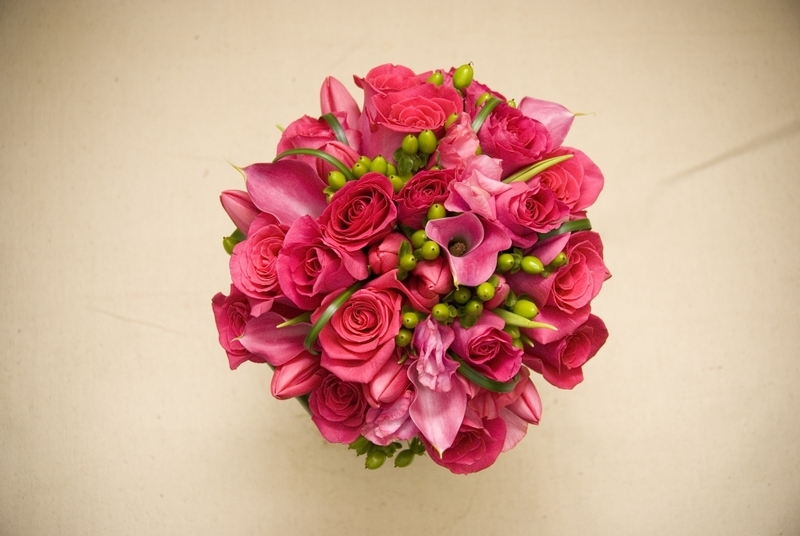 We wish you all the best in defining and stylizing your very own one of kind bouquet, something that compliments your personalty and flair! 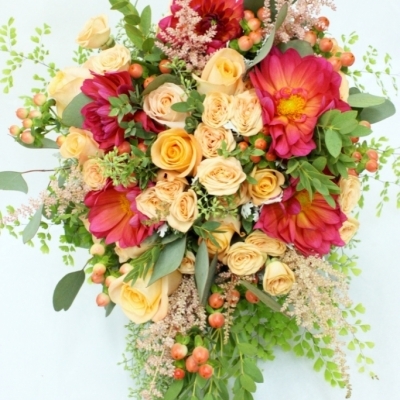 Check out our inspiration page for more designs.